A lot of people ask us how to get the maximum from their motor insurance policy. We put that question to our people and got some interesting insights. Here are 5 ways to get started. Yes, we get it. Sometimes, the terms & conditions of the policy are very complicated. 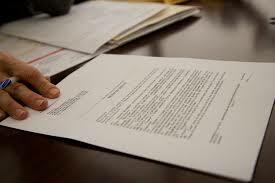 However, its necessary to understand them before you sign. You ought to know about the insurance policy which you are paying for. If there are any areas of your insurance policy which you aren’t sure of, contact us-it could help you understand what aspects your insurance policy covers and save you money in the process. Eg: If your vehicle is 10 years old, your claim could come down by a figure of upto Rs. 10,000. A lot of customers believe that once an insurance policy is purchased, say on April 2nd 2015, the policy is ‘locked in’ until the end of the agreement. This is simply untrue. However, it becomes necessary for customers to be a little proactive. 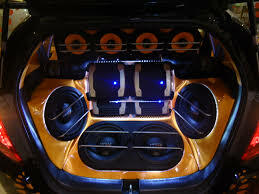 For example, if you wanted to replace a new pair of speakers for your vehicle (due to an accident claim), then you ought to produce a price quote to us before buying parts. This ensures that you are not getting ripped off as a customer when purchasing a new device, and also keeps us, the insurer informed about every aspect of your vehicle. At least check and see if you can get this insured? Click on me to get vehicle maintenance tips! Ensure that you are aware of your warranty statement. Depending on the amount of coverage which you choose, certain technical failures may not be covered under your insurance policy. However, if your vehicle is still under warranty, the technical issue could be addressed directly with the dealer of the vehicle. Liked this article? Do us a favor and subscribe!